WASHINGTON - The U.S. Environmental Protection Agency is launching the Water Finance Clearinghouse, a web‐based portal to help communities make informed financing decisions for their drinking water, wastewater, and stormwater infrastructure needs. 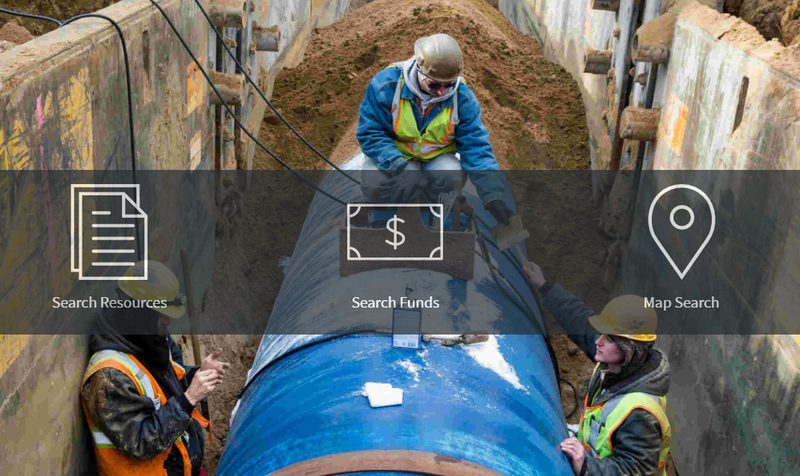 The Clearinghouse provides communities with a searchable database with more than $10 billion in water funding sources and over 550 resources to support local water infrastructure projects. It consolidates and expands upon existing EPA-supported databases to create a one-stop-shop for all community water finance needs. The Water Finance Clearinghouse was developed by EPA’s Water Infrastructure and Resiliency Finance Center, an information and assistance center that provides financing information to help local decision makers make informed decisions for drinking water, wastewater, and stormwater infrastructure to reach their public health and environmental goals. Many communities around the country have aging or inadequate water infrastructure: each year approximately 240,000 main breaks occur while elsewhere billions of gallons of raw sewage are discharged into local surface waters from aging conveyance systems. Communities increasingly need efficient access to up-to-date water finance information to rehabilitate or replace their water infrastructure. EPA’s new Water Finance Clearinghouse meets this need. 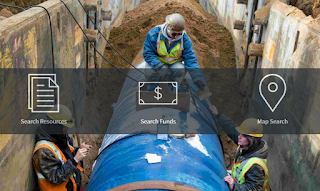 The Water Finance Clearinghouse gives local decision makers an opportunity to search for available funding sources for water infrastructure as well as resources (such as reports, webpages, and webinars) on financing mechanisms and approaches that can help communities access capital to meet their water infrastructure needs. State, federal, local, and foundation funding sources and resources on public-private partnerships, asset management practices, revenue models, and affordability approaches are included in the Clearinghouse. The Water Finance Clearinghouse is updated in real-time, following a crowdsourcing model. States, federal agencies, and other water sector stakeholders have the ability to suggest edits and new resources or funding options at any time through the Contributor Portal. Stakeholders can use this interactive feature to manage how their programs and initiatives are displayed in the Clearinghouse.